Construction projects require all sorts of tools and equipment, no matter how large or small the job at hand. One of the most important things to secure ahead of construction is a properly sized dumpster rental. A dumpster rental ensures you can get rid of waste and keep your jobsite clean and organized so you can work efficiently and effectively. Since 2001, DB Container Service has been delivering high-quality commercial container service in Brooklyn, Queens and throughout NYC. When contractors need dependable dumpster rentals and outstanding customer service, they know they can find both with DB Container Service. These are just a few of the many types of projects that demand high-quality, dependable dumpster rental. Do you have an upcoming project that requires dumpster rental? 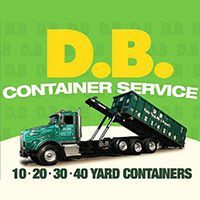 Call on DB Container Service for the best commercial dumpster rental in Brooklyn, Queens or anywhere throughout NYC. There’s more to dumpster rental than just the dumpster itself. When you’re starting a construction project, you need suppliers and vendors that are going to help you stay on time and under budget. That’s exactly what you get when you choose DB Container Service for construction dumpster rental in NYC. We are honest and fair in our pricing, and we strive to deliver the dependable, on-time service you need. In fact, we’ve designed a fast and easy dumpster rental process that helps you maintain your construction timelines. More than anything, we want to develop long-term relationships with our clients and customers. You’ll find that we do what it takes to meet your unique needs, which is likely to make you choose DB Container Service again the next time you need construction dumpster rental in NYC. Everything is fast and easy when you choose DB Container Service. We know that time is of the essence when you have an upcoming or in-process construction project, and we move quickly to ensure you have the right-size dumpster rental for the work at hand. We know how hard you work each day on behalf of your own clients, and we do our best to reciprocate by working hard for you, too. Getting started is easy. All you have to do is get in touch for a free quote. You can also call to ask questions and get expert guidance on the right size dumpster for your upcoming project. Make sure you’re getting the right advice, quality dumpster rentals and the best customer service when you choose to work with DB Container Service. Contact us today and get your free quote for commercial dumpster rental in Brooklyn, Queens and throughout NYC.